Rafay: "the only problem is that return is guaranteed which technically means it is a loan. because any investment has to have some risk. if you want guaranteed return you can invest in fixed term deposit, t bills, govt bonds etc. but here pakistani govt is guaranteeing a $ return of 27%"
No it's not guaranteed. It's an estimate ranging from 17-27%. 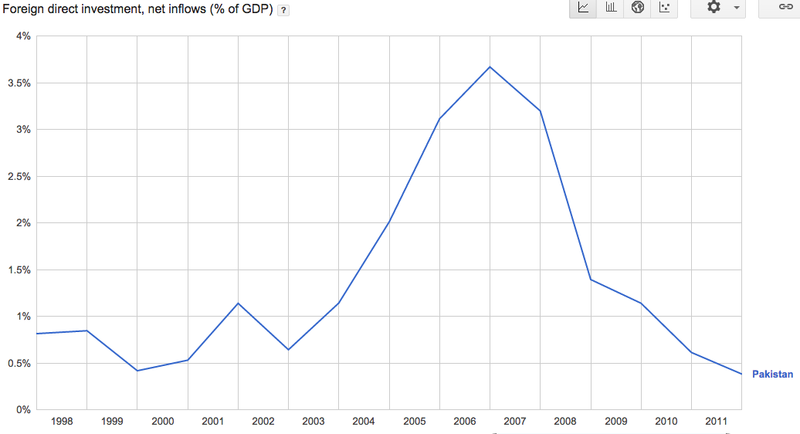 Besides, Pakistan has few other options with its extremely low domestic savings rate and little FDI from elsewhere. This return on investment would be payable in USD/yuan(non PKR) I guess. So the pak govt which can barely manage to payback soft imf loans is now guarenteeing 17% outflow on loans which come with strings attached(only chinese firms to be awarded contracts for these projects). Anon: "So the pak govt which can barely manage to payback soft imf loans is now guarenteeing 17% outflow on loans"
Energy is fundamental to the economy. Solving the energy crisis will boost Pakistan's exports and foreign earnings and help reduce the current account deficit. Can this FDI be pulled out at any time? 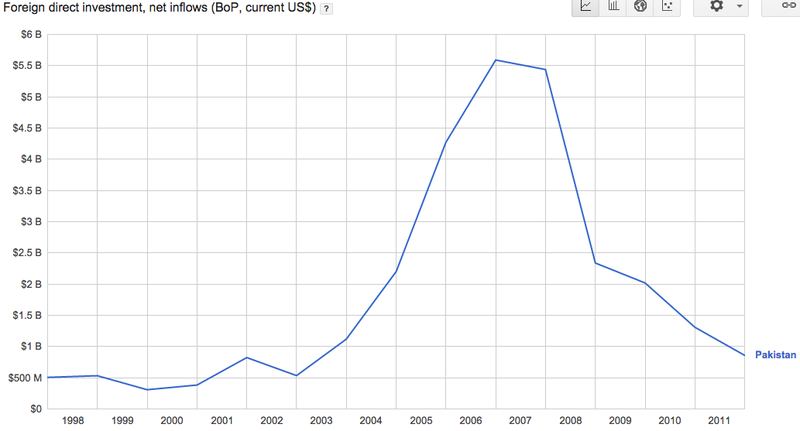 How will the FDI be returned when time comes and its impact? Anon: "Can this FDI be pulled out at any time? How will the FDI be returned when time comes and its impact?" FDI is in the form of plant and equipment which are much more difficult to remove than selling off portfolio investments (FII) like stocks and bonds. Typically, FDI investors are allowed to repatriate profits from their investments which is a more gradual process. Majumdar: "God help Pakiland if PRC adds 6,000 MW of power at US$ 18 billion (USD 3 million MW)"
I believe these are hydroelectric dam projects with water storage that cost more than other power plants.For example, Belo Monte dam in Brazil cost about $3.11 million per MW in 2011. They also take longer to build, but the operating costs are much lower and cost per unit generated drops significantly over time. Now atleast please give some credit to Nawaz Sharif! Anon: "Now atleast please give some credit to Nawaz Sharif! " Yes, I do give him credit for starting the process that was long overdue since the Chinese interest in such investments in Pakistan is several years old. 2. How transparently it is done to truly benefit the people much more than the Nawaz Sharif family and friends. 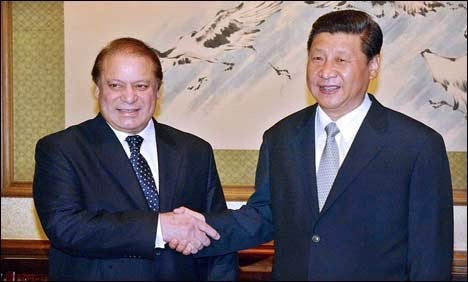 If the new IPP contracts with Chinese companies are like the cost-plus contracts without performance guarantees that were signed in 1990s by the PPP govt, then there could be another major power crisis a few years down the line when Pakistan govt and people are once again faced with declining power generation, longer power cuts and mounting circular debt. How will any of this help with the real problem with the power sector, which is the circular debt? Haider: "How will any of this help with the real problem with the power sector, which is the circular debt?" Circular debt has a lot to do with the cost of power generation. New coal and hydro plants built by the Chinese will hopefully cut these costs significantly and reduce the gap between the cost and revenue. Does this mean that Pakistan can score 5% GDP growth for the next five years? Haris: "Does this mean that Pakistan can score 5% GDP growth for the next five years? Resolving energy crisis is a pre-requisite to higher economic growth. It's necessary but not sufficient to achieve higher growth. It's overall investment level that drives growth and resolving energy crisis will hopefully increase investment in Pakistan. "How transparently it is done to truly benefit the people much more than the Nawaz Sharif family and friends." There is a reason why the Chinese are preferred. Unlike US and Western firms, Chinese firms are not scrutinized by their media like WSJ etc so they don't have to worry about taking bribes, corruption in OVERSEAS business practices. When I was in Africa it was a common practice by higher ups in the government to have money wired directly into their accounts in the Cayman Islands for example. I would prefer the Pakistani Government deal more with the Western or US Governments. There are more checks and balances and less corrupt practices. I am not saying it doesn't happen but today no Fortune 500 company want to ruin their reputation. Unless Pakistan has a far more efficient land acquisition and rehabilitation program, hydro projects, especially ones including storage, take anywhere between 10-15 years to complete/commission. Hope for your sake you can do it faster. From the comments above, usd 3 million per MW for Chinese P&M!!!. I know you guys are friends, but you might want to get an independent opinion on that. Chinese tech on large scale projects is very suspect... There are many indian companies who have burnt their fingers on that one in the last 5 -10 years. AM India: "Unless Pakistan has a far more efficient land acquisition and rehabilitation program, hydro projects, especially ones including storage, take anywhere between 10-15 years to complete/commission"
I believe most of these projects have been through a lot of planning, feasibility and land acquisition exercises but execution has been held up by lack of funding. Chinese money should help expedite these projects. Kadeer: "There is a reason why the Chinese are preferred. Unlike US and Western firms, Chinese firms are not scrutinized by their media ..... no Fortune 500 company want to ruin their reputation." West or US is even more corrupt, more innovative corrupt practices have evolved in west then any other country on earth. If you live in west then try to read their literature and compare that literature to their practices, you will be amazed. Don't forget about Enron and Worldcom. Many more like Halliburton were also involved in corrupt practices. Just few years ago banks here in UK were bailed through tax payers money, they were scrutinized by media, but nothing changed in their way of working. They still are as corrupt as they were before. If an individual, an organisation or whole country is determined to do something wrong then no matter how much you scrutinize them they will find a way to achieve their objective. Invasion of Iraq may be a good example here. I believe if Pakistan want's short term prosperity then handshake with west is a good idea but if Pakistan want's long term prosperity then certainly we need to look somewhere else. Perhaps we should look everywhere on globe to provide and receive good quality products and services. Historically Pakistan is too dependent on few centers of power. It's upto politicians as well as general population to find more centres around the globe. Singh: "You should know that these high profile visits dont lead to the signing of big deals..the discussions on Big deals are just initiated during such visits..Deals are finalised after many rounds of negotiations between officials ...The implementation of such MOUs is the real thing"
We'll just have to wait and see how much of it is executed, though I do know that PMLN is better at execution than the previous PPP govt whose performance was horrible. As to Chinese equipment, money and personnel, it's true everywhere, including your country. There are tens of thousands of Chinese workers building power plants in India today. Investors do expect higher returns when risks are higher but these guarantees and the actual current returns to IPPS are outrageous. If Kardar's claims are correct, then it seems that Pakistani leaders are repeating the mistakes of the bad IPP contracts of 1990s which have come back to haunt Pakistanis. It's truly alarming. In fact, just realised that it's an old report. According to the latest report the numbers have improved further. K-Electric's T&D losses are now down to 25% in 2014 from 35% in 2009. These are the things which the govt can improve without any significant expense. I really wonder if this skewed focus on more and more projects is because of some financial incentive in the form of commissions or intellectual bankruptcy of the ruling elite? AJ: "These are the things which the govt can improve without any significant expense. I really wonder if this skewed focus on more and more projects is because of some financial incentive in the form of commissions or intellectual bankruptcy of the ruling elite?" Pakistan needs both...new capacity as well as better management in the power sector. Although Pakistan's 14 million BTUs per capita energy use is ahead of Bangladesh's 6 million BTUs and Sri Lanka's 10 million BTUs, it is less than India's 18 million BTUs, and far behind China's 68 million BTUs and Malaysia's 97 million BTUs. Sharifs using friends as middlemen? The politics related to liquefied natural gas (LNG) import have again intensified after Pakistan State Oil (PSO) cancelled an import tender in which top global companies like British Petroleum and Shell could have taken part. Similarly, many tenders were scrapped in the past, but this time experts were hoping for clinching a deal following encouraging response from renowned companies. But the same old episode has been repeated again. Punjab Chief Minister Shahbaz Sharif and Petroleum and Natural Resources Minister Shahid Khaqan Abbasi left for Qatar, which could be a major source of LNG supply, soon after the PSO tender was cancelled. This has sparked speculation that the government has already planned to strike an import deal with Doha in a government-to-government contract through one of Prime Minister Nawaz Sharif’s close cronies, who has been residing in the Gulf Arab state for a long time. During the previous government of Pakistan Peoples Party (PPP), some ministers had reportedly alleged that the man had blocked a gas deal between Pakistan and Qatar. Despite signing of a memorandum of understanding (MoU) between the two countries, Doha at that time did not push ahead with the gas export programme. Speaking at a public rally, Awami Muslim League President Sheikh Rasheed Ahmed has also accused the PML-N government of favouring some blue-eyed boys in Qatar through a state-to-state LNG contract with Qatar Gas. He said the government was going to strike the LNG deal with Qatar through one of premier’s cronies, Saifur Rehman, who is residing in Doha. He also pointed out that the government seemed to be in a hurry as it had assigned the special task of finalising an agreement to Pakistan’s ambassador-designate to Qatar. These speculations seem to be spreading after the chief minister of Punjab went to Doha and met top officials. Then the minister of petroleum joined him. This suggests two important things. First, the chief minister has a key role in reaching an LNG deal with Qatar and second, the government has made up its mind for an agreement with Qatar and PSO’s tender was mere eyewash. However, with these developments, Pakistan is going to lose the opportunity of importing LNG at a competitive price. Now, the ball is in Doha’s court and it can demand a price of its choice. During the previous PPP government, Qatar had revised downwards the LNG price offer to $17.437 per million British thermal units (mmbtu), a 0.5% discount over the previous price of $18.002. This would have led to savings of $1 billion over the 20-year lifetime of the project. If all charges are included, LNG supplies from Qatar will cost $19.521 per mmbtu and Pakistan will have to spend $200 million on developing infrastructure for handling imports. Separately, in response to a tender floated by Sui Southern Gas Company (SSGC) for an LNG integrated project, Pakistan Gas Port had offered a bid of $17.7074 per mmbtu while Global Energy International quoted a price of $18.16 per mmbtu. According to officials, if the government had awarded the contract to the lowest bidder, the price would have stood at $10 per mmbtu following a sharp fall in oil prices in the world market. These prices were even lower than the revised price quoted by Qatar. ISLAMABAD, Dec. 12 (Xinhua) -- The Asian Development Bank (ADB) and Pakistan signed a 248-million-dollar loan agreement Friday to upgrade the country's power transmission operation and management in a bid to boost energy security, officials said. The loan, which is the fourth under ADB's multitranche financing facility for the Power Transmission Enhancement Investment Program, will fund 10 subprojects, the ADB said. They include providing upgrading systems to evacuate power generated from new thermal, wind and hydro power plants and to reduce power losses, and measures to strengthen network safety and security requirements. This is the final tranche of the 800-million-dollar financing facility which was originally approved in December 2006. The state- owned National Transmission and Dispatch Company will continue as the executing and implementing agency for the program. The infrastructure to be built or upgraded includes 281 kilometers of 500-kilovolt (kV) transmission lines from the Muzaffargarh grid station in eastern Punjab province, four new 220- kV grid stations, and an extension of 500-kV grid stations at Jamshoro in southern Sindh province and Gujranwala in Punjab. Mohammad Saleem Sethi, secretary of economic affairs division for the Government of Pakistan and Werner E. Liepach, ADB's country director for Pakistan signed the loan agreement. "Expanding and upgrading the transmission backbone will provide reliable and high-quality energy supplies to meet increasing demand from industrial, commercial, agricultural, and domestic customers," said Liepach. "It will support the government's strategy to provide people with better access to affordable electricity."